If you’ve seen them on our website but never tried them out, here’s what you should know about House Tipster’s easy-to-use Virtual Rooms. And the answer to that is, “We are!” But there’s a method to our madness. We're using cutting-edge technology at House Tipster to create our new Virtual Room platform where anyone from professional interior designers to amateur home decorators can build their own rooms in high-definition 3D virtual space and view it from all angles. But our platform is unique. 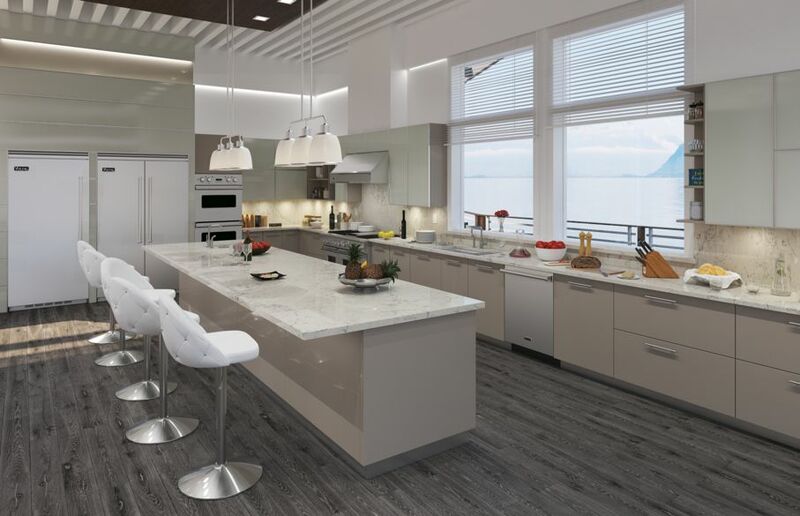 With House Tipster’s Virtual Rooms, your designing options aren’t just limited to the “sensible” selections you may find with other designing platforms, like the everyday kitchen you see below. Oh sure. 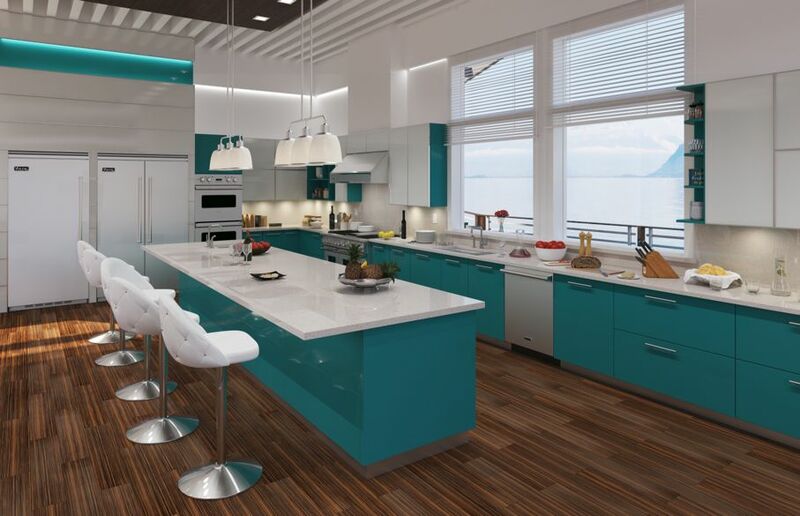 Down-to-earth designs are certainly possible with House Tipster’s Virtual Rooms. But we’re showing you the completely “out there” design possibilities of our Virtual Rooms to illustrate that our platform’s only limit is your imagination. Think that design is stupid? Maybe it is, but our technology can still do it. 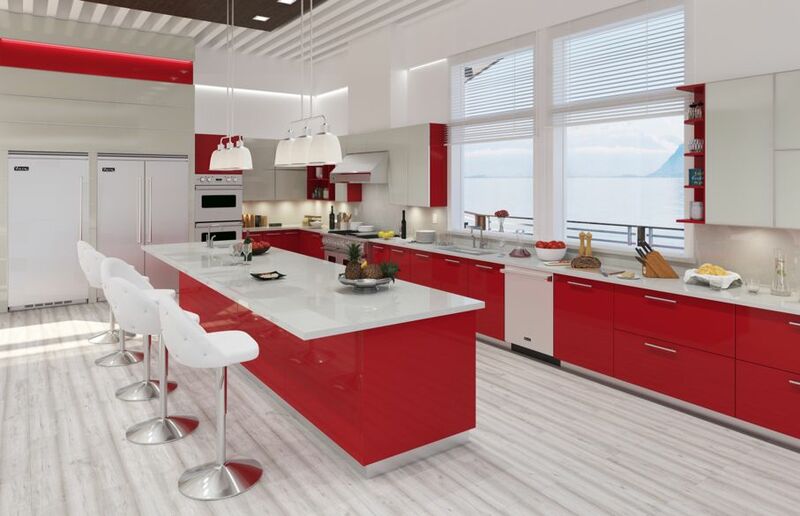 Even if something’s impossible in reality because no contractor in his right mind would create such an abomination of a kitchen, we can do it anyway with our Virtual Room technology because there are thousands upon thousands of different possibilities with our platform. Gah! My eyes! Is that Santa Claus’ kitchen?! Change it! 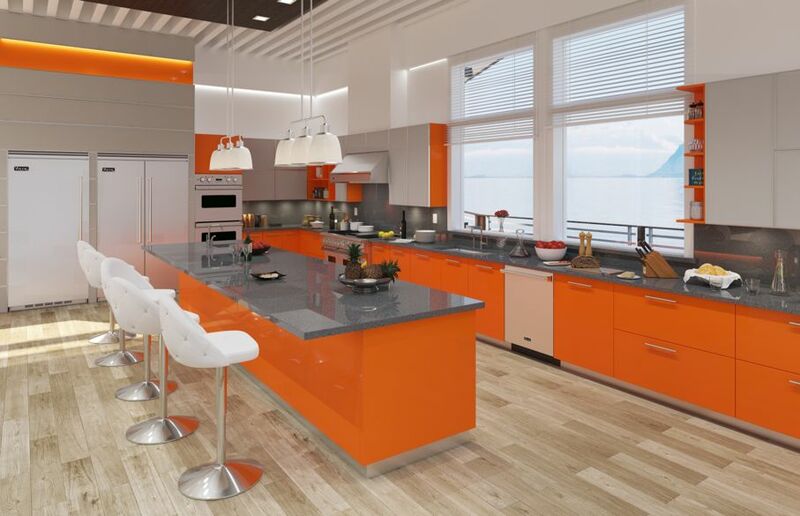 "A day-glo orange kitchen? That’s disgusting!" No problem. We'll change it again! 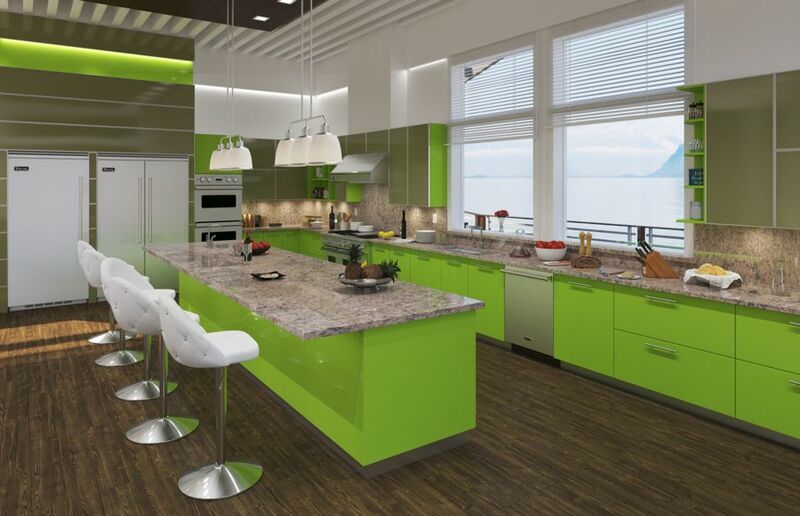 Getting closer to something you’d actually want to see for your own kitchen at home? Should we keep going? Ahhh… That’s better. All the details inside our photo-realistic 3D Virtual Rooms can be changed instantly. 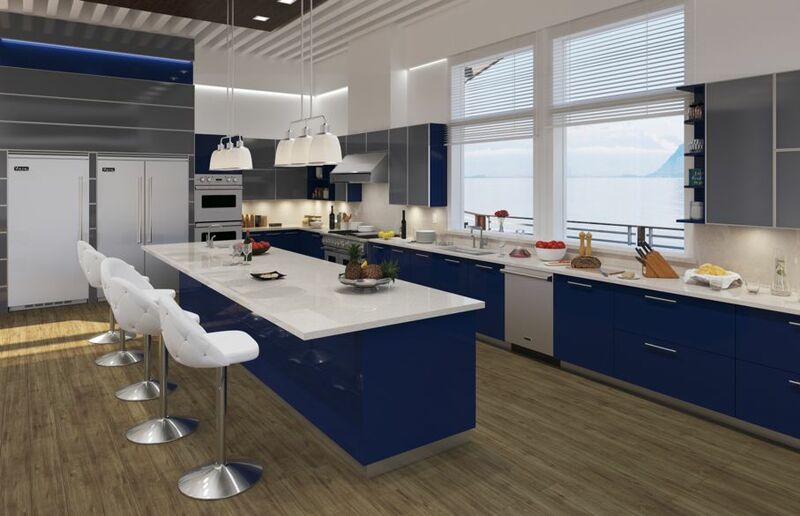 Thanks to our innovative technology, users can try out different looks for home improvement items — flooring, cabinets, appliances, and more — in House Tipster’s Virtual Rooms. 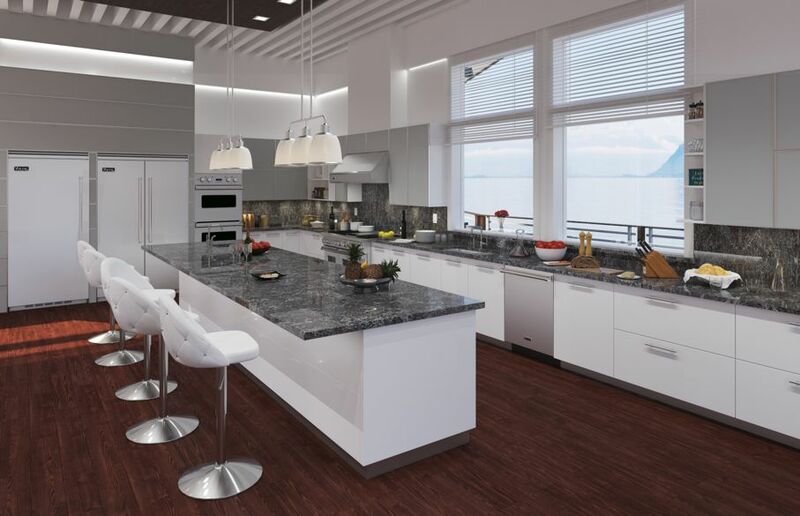 Mix and match materials, textures, finishes, appliances, and accessories. Change them on a whim and experiment with different designs until you find the look you like best. So, what are you waiting for? Give our best Virtual Rooms a try, and create a completely unique space that's completely you — whether it’s gaudy or glamorous or chic or cheesy. It’s all possible with House Tipster’s Virtual Rooms.